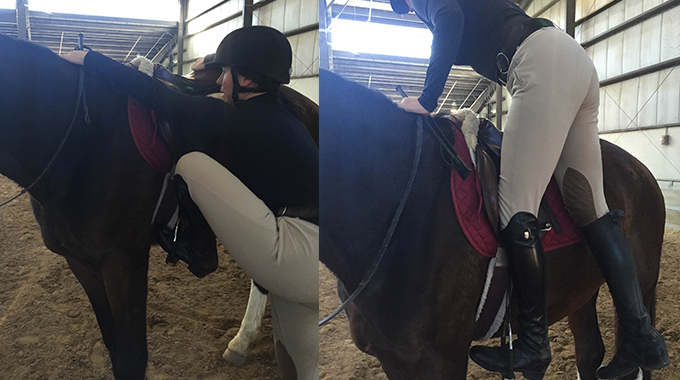 I am looking for help with regards to fixing a cross canter and knowing when the horse lands in the cross canter. 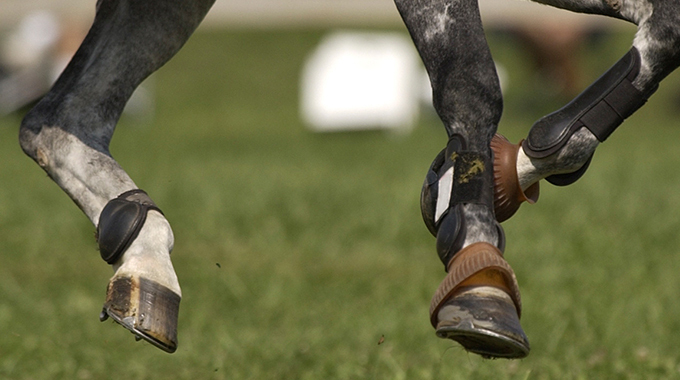 Some horses will land on a cross canter—occasionally. It’s rare, but it does happen. 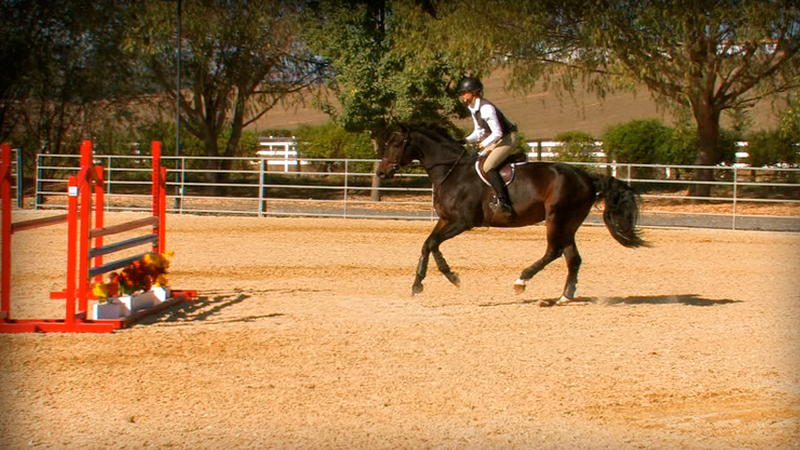 Riders can try to “lead” a horse with an opening inside rein over the fence to try and tell their horse which lead the rider wants them to land on. 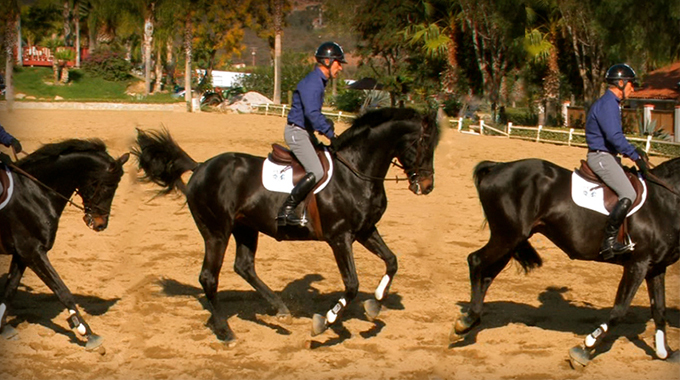 I have a great exercise for teaching horses to do a solid one-piece flying change—but it takes lots of practice over a month or two. Place two poles about a foot to 18” apart. 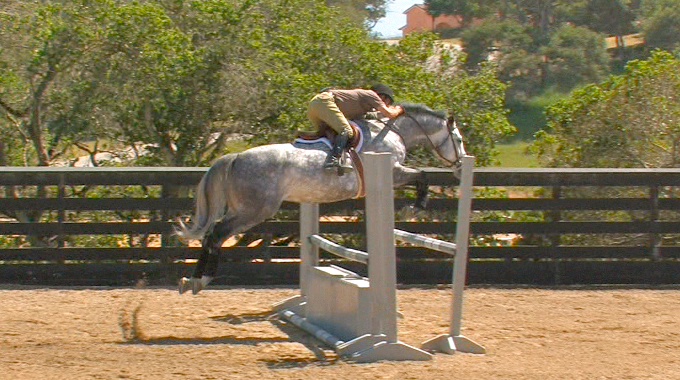 Now, canter over these poles at a good pace. Make a giant figure eight, so you come into the poles on one lead then land on the other. 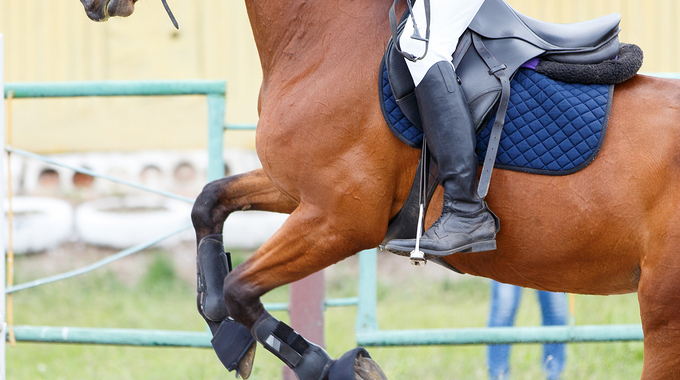 Try to do that by turning your horse just as he leaves the ground to “hop over” the poles. So, if you are approaching on the left turn, just as your horse is about to hop the poles, switch to your right rein and pull his mouth some to the right, so he lands going to the right… some. A lot of issues can crop up that result in less than perfect flying changes. 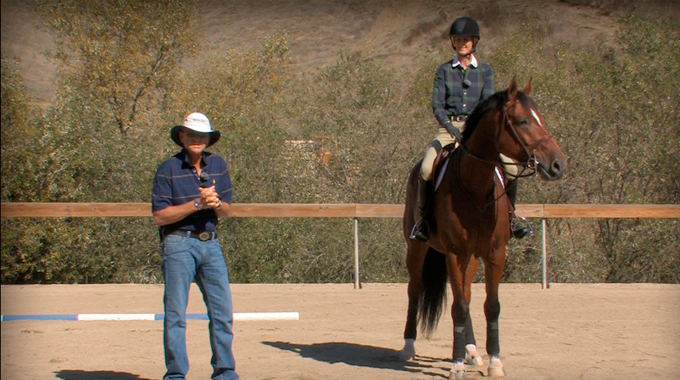 Perhaps your horse anticipates or is anxious, has late changes, or uncontrollable changes like swapping in lines. Bernie has some tips to address all these issues and more. changes on cue. You are having a flawless trip, you see your distance to that single oxer across the diagonal a mile away, you know there’s a blue ribbon in your future…. 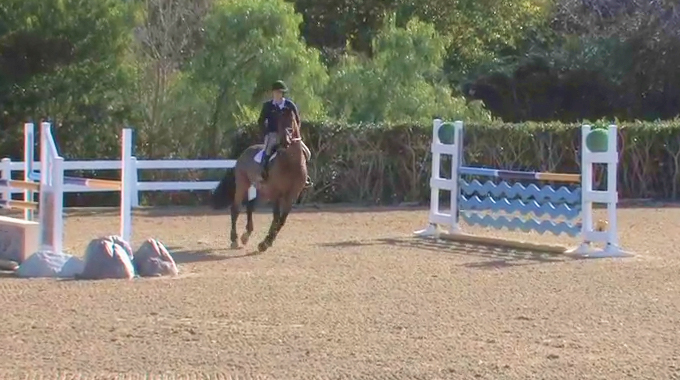 and then, in anticipation of a change of direction, your beloved, loyal mount swaps his lead in front of the jump. Hope and Ned Glynn have a way to fix it!